DEEP BASS: Professional tuning for gaming, MG-1 gaming headset can capture the sound of flying bullets,footsteps and all special sound effects ,bring you immersive gaming experience. DUAL MICROPHONE: The earbuds built in two HD microphones,the detachable mic boom is design for gaming when you're holding your devices .The in-line microphone is for daily use which won't make you inconvenience. ULTRA PORTABLE: Easily carry a professional gaming headset on the go with your Switch. It also perfectly matches your Xbox One/PS4 wireless controller in home play. 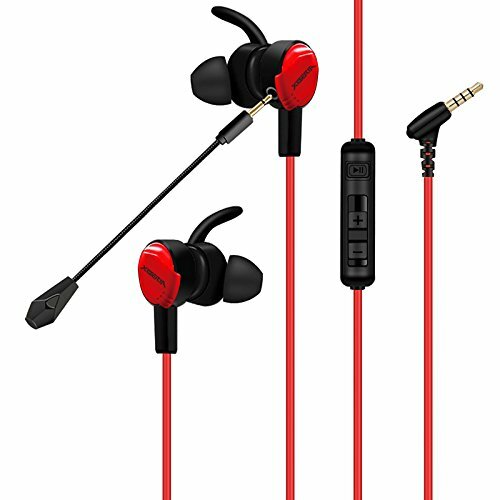 UNIVERSAL COMPATIBILITY: Broadly used as Xbox One headset, PS4 headset, mobile headset for Switch and other platforms with standard 3.5mm connection. If you have any questions about this product by DAKSING, contact us by completing and submitting the form below. If you are looking for a specif part number, please include it with your message.